Life with Lucie & Ella: Not Your Mother's Make-Ahead and Freeze Cookbook Coming Soon! 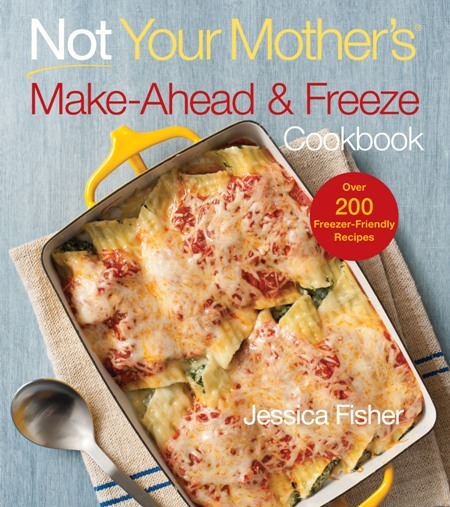 Not Your Mother's Make-Ahead and Freeze Cookbook Coming Soon! In just a couple of weeks, I'm going to have a copy of my sister's first cookbook Not Your Mother's Make-Ahead & Freeze in my hot, little hands. I am soooooo excited! I have been looking forward to reading this cookbook for, oh, about 2 years! Yeah, pretty much since I found out that she was writing a cookbook. I love eating at Jessica's because the food is always delicious. Unfortunately, I don't get to do that often since I live on the other side of the country now. So, I make do by preparing recipes from her blogs Life as MOM and Good Cheap Eats. Now, I'll expand my cooking repertoire with the recipes from this book. I love freezer cooking. I'm a bit out of practice, but I plan on having a big cooking session once I get this book. Freezer cooking makes my life so much easier. That's something that I need in my life right now. If you're interested in learning more about this cookbook, stop by Harvard Common Press to see a detailed table of contents and list of recipes. Do you enjoy freezer cooking?